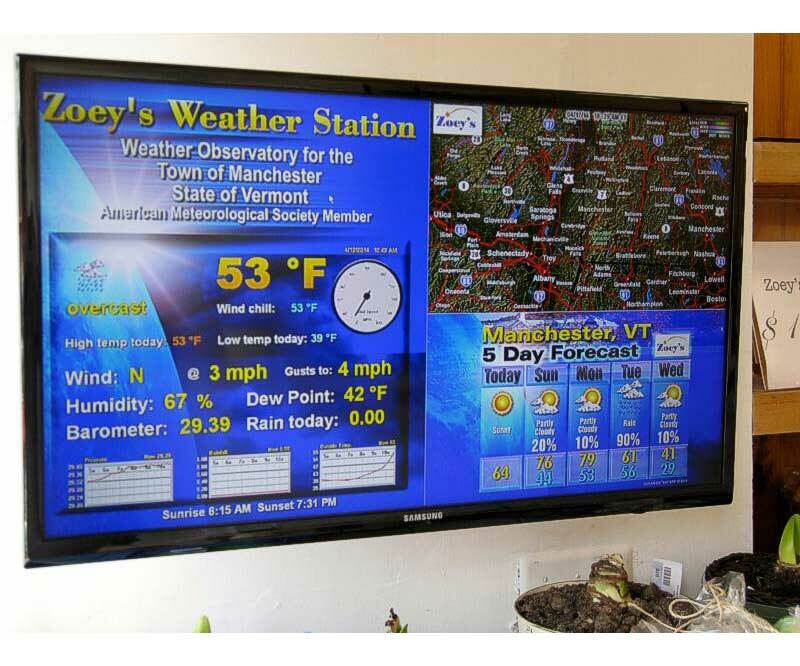 Display the current weather conditions at your location on any big screen TV or monitor with an HDMI port. Combine with doppler radar, forecasts, even add your own specials/advertisements into the displayed content, giving you and/or your business a customized, personal weather channel. 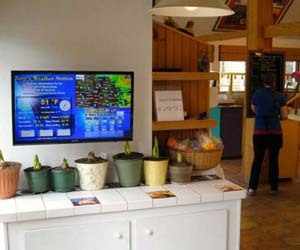 Have you ever wanted to make live weather a front and center feature for your business, school, or home? 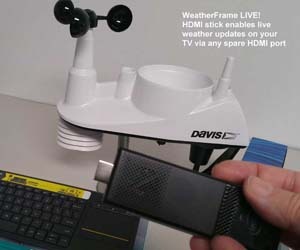 WeatherFrame-LIVE makes all that possible simply by plugging it into any big screen TV or monitor with an HDMI port. With WeatherFrame-LIVE, you can watch not only the current conditions, but add radar and forecasts, or you can add advertisements, sales specials, bulletin board screens of whatever you might want to display along with the live weather information. For home use, you don't even need a new TV or monitor, just plug WeatherFrame-LIVE into an existing spare HDMI port of your TV/monitor and use your remote control to switch to it anytime you want to look at live weather. It's like having your own personal weather channel. 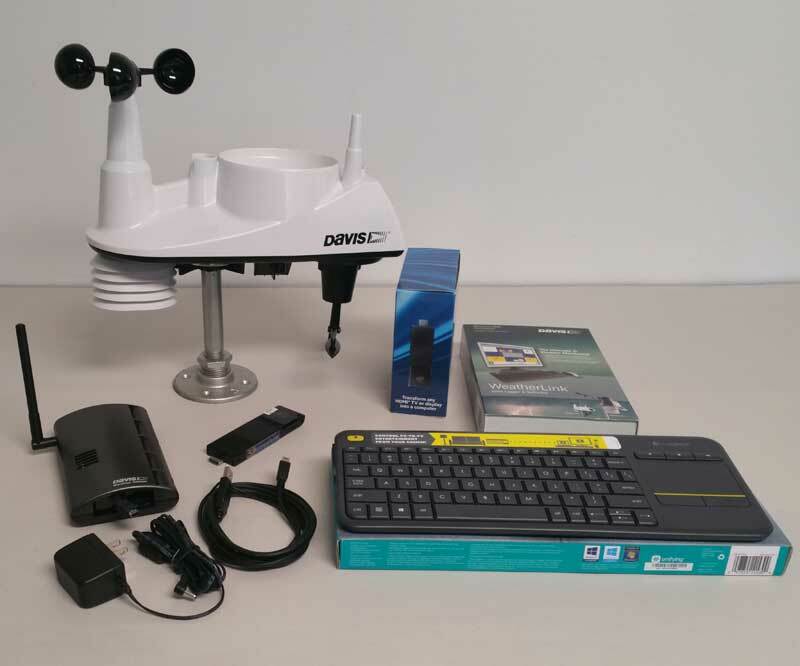 Comes with a Davis Weather Station ISS (Integrated Sensor Suite), combining all the instruments into a single, easy to install package that wirelessly transmits the data to your WeatherFrame-Live Device/Display. The basic package includes a Vantage Vue ISS, or you can get one with a Vantage Pro2 for expansion options (additional temperature/humidity stations, soil moisture sensors, leaf wetness sensors, solar radiation and UV index sensors, etc. - please contact us for details). An add-on kit is available for customers who already own a Davis Vantage weather station. 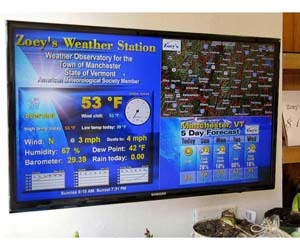 Provides a real-time HDTV 1080 weather display of current conditions measured at your location on most any TV or monitor with a spare HDMI input. Using a solar powered and wireless Integrated Sensor Suite, it measures and displays temperature, wind speed/direction, wind chill, heat index, humidity, dew point, rainfall for day/month/year, rainfall rate and many more! Provides graphing/tracking of high/low temperatures, rainfall, and weather records for your location (such as the record high temp on this date) allowing comparison. Runs a real-time "ticker" along the bottom showing current and historical weather information. Hundreds of design elements, text, dials, graphs, and gauges, all with drag and drop editing capability. 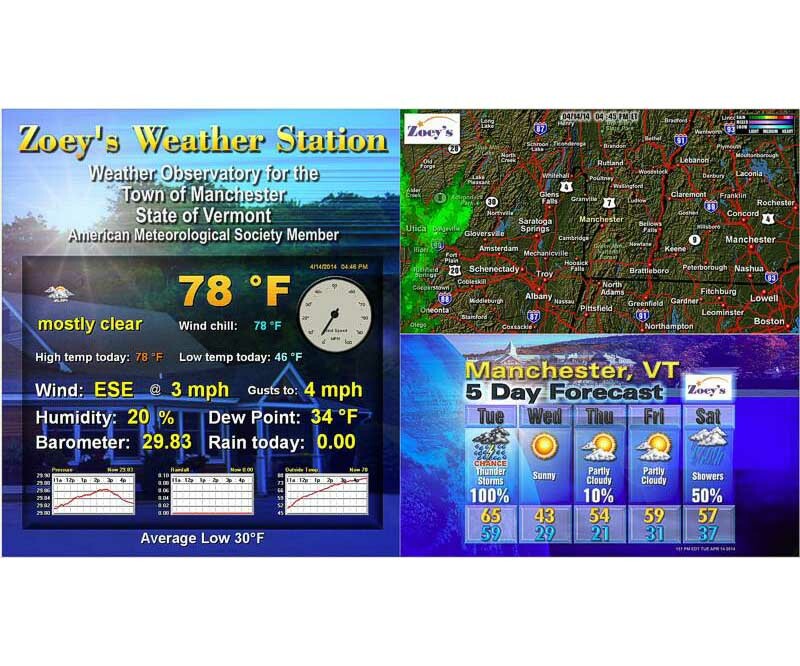 Displays a live three screen panel which can be configured with weather radar, forecasts, and/or advertising. Runs 24/7/365 fully unattended and automatically, using Wi-Fi to update external content such as radar/satellite. 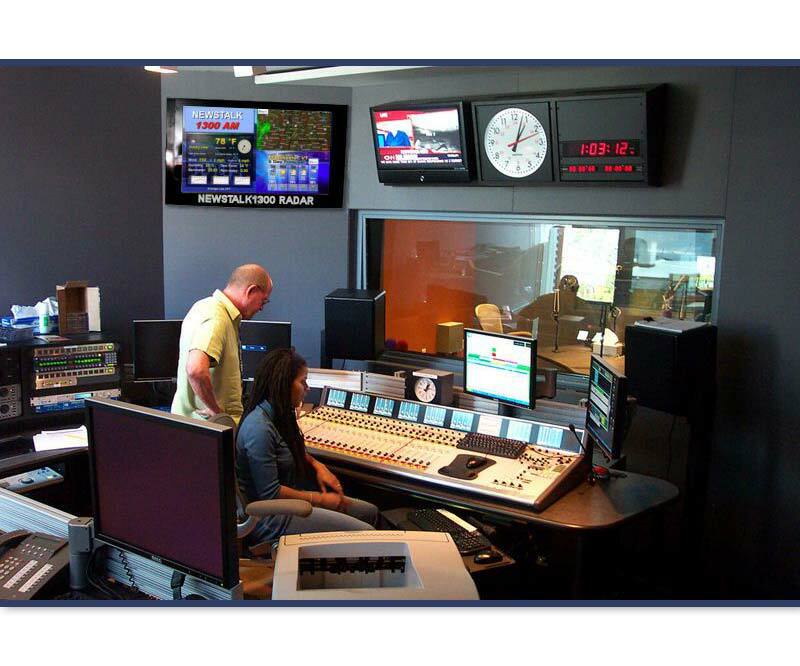 Includes hundreds of ways these screens can be customized for content, data, color, size, style, backgrounds, etc. It can integrate a web camera that publishes live imagery to the web, and update a web page or CATV channel with it. Transmits all your weather data to Weather Underground or to your own web server, for logging and display on web browser and mobile devices. It receives real-time weather information via wireless data connection from your local weather station (Davis Vantage Pro2, Vantage Vue or similar stations) and displays it on-screen. It receives satellite, radar, and other imagery via Wi-Fi from any web server (including NOAA and your local TV station) and displays it on-screen for you and automatically updates it. Radar/Satellite can be shown as animations (free basic satellite/radar imagery is included, and optional custom imagery is available for an additional fee). Advertising can be displayed from your business web server simply by placing an image there and putting the URL in the software to call it up. Or, you can connect a mouse/keyboard and operate the system like a regular computer to copy in advertising images. Advertising images can also be updated via a local network shared/mapped drive connection. WeatherFrame-LIVE offers menu driven ease of use and design, use one of the pre-designed screens, or design your own using the WYSIWYG interface. 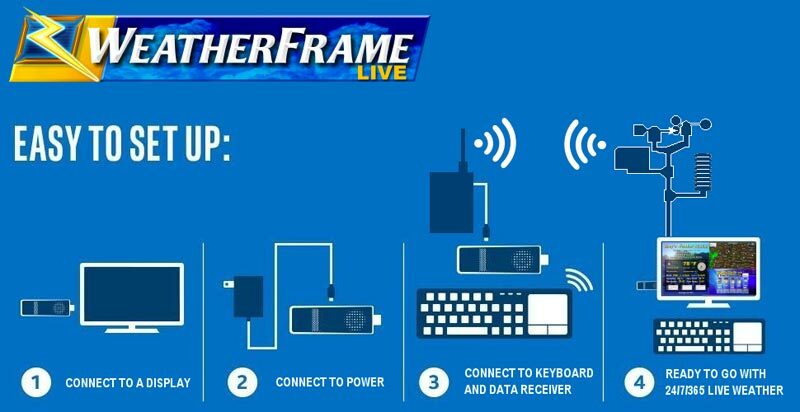 WeatherFrame-LIVE uses Windows 10 operating system embedded in a tiny wall-mounted low-power PC that runs a state-of-the-art solid state hard drive for reliable and trouble-free operation with a minimal learning curve. The WeatherFrame-LIVE hardware is thin and small enough to hide behind most any TV monitor, by simply plugging into a spare HDMI port. 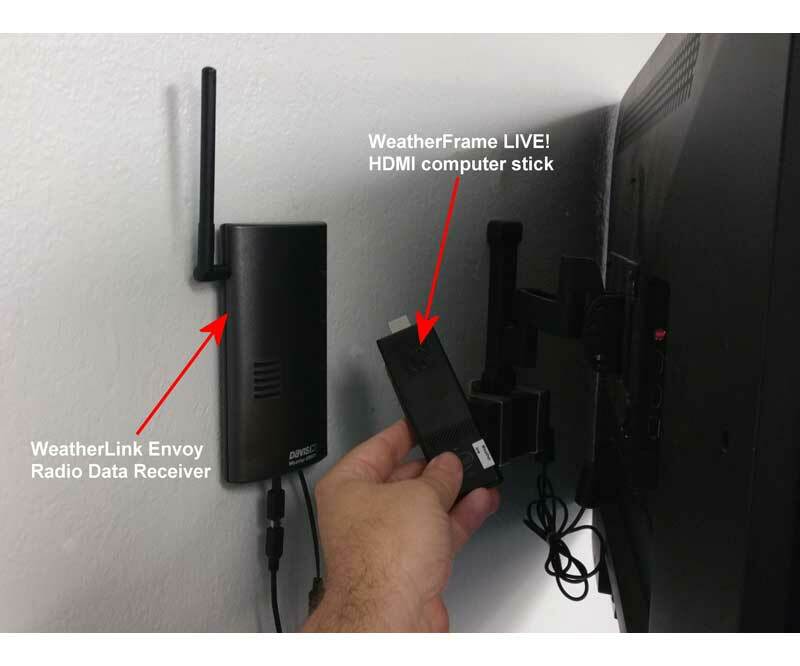 If enabled, WeatherFrame-LIVE will transmit and log your data to Weather Underground or your own web server to update your web page with custom-branded weather graphics. 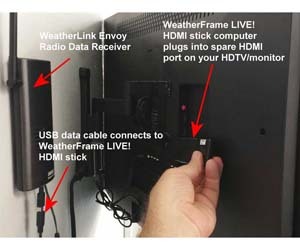 Most any 1080 capable HD TV or monitor with an HDMI port will display WeatherFrame-LIVE. An integrated weather sensor suite with wireless data connection range up to 1000 feet away from the display. A weather sensor wireless data receiver small enough to fit behind a wall-mounted TV (wall mounting hardware included). A data-logger and USB interface that records weather data even if power goes out. A Quad-Core Intel based mini-pc on an HDMI stick with 2GB of RAM and 32GB solid state drive, wired and wireless WiFi Ethernet connectivity, dual USB ports, Windows 10 operating system pre-installed, patched, and WeatherView-Live software pre-loaded and and set for automatic startup. A collection of pre-made screen designs you can choose from, or design your own using the software. 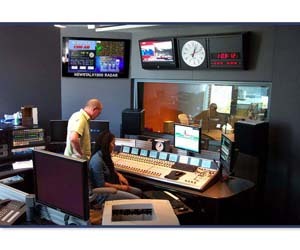 Free broadcast-quality regional satellite and radar content updated every 30 minutes. Easy to follow instructions, mounting hardware, all cabling, and telephone/email support. 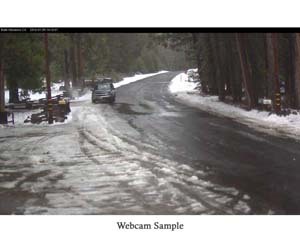 If you're having troubles with this device, contact support at 530-899-8434, or send an e-mail to info@weathershop.com. Includes 1 year warranty from the manufacturer.